"We’re going to have to check it and we will check it. We’ll check it very strongly," US President Donald Trump said. 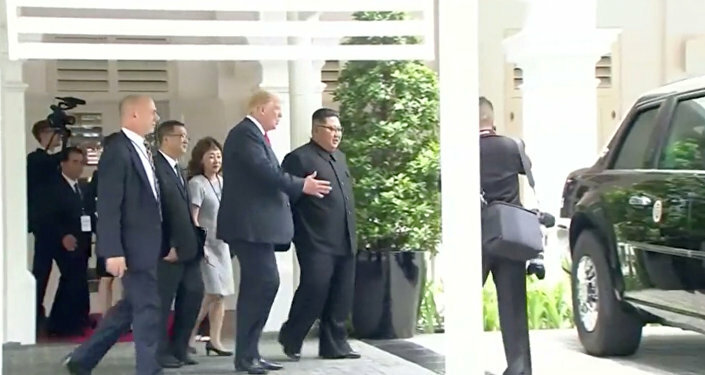 Earlier on Tuesday, Trump and Kim met in Singapore and committed the United States and North Korea to establishing new bilateral relations and building a lasting peace on the Korean Peninsula. Trump and Kim signed an agreement at the end of a bilateral summit outlining the two countries’ commitment to work toward the denuclearization of the Korean peninsula. The US president gave North Korea security assurances and indicated he would suspend military drills with South Korea if Pyongyang gives up its nuclear development program.